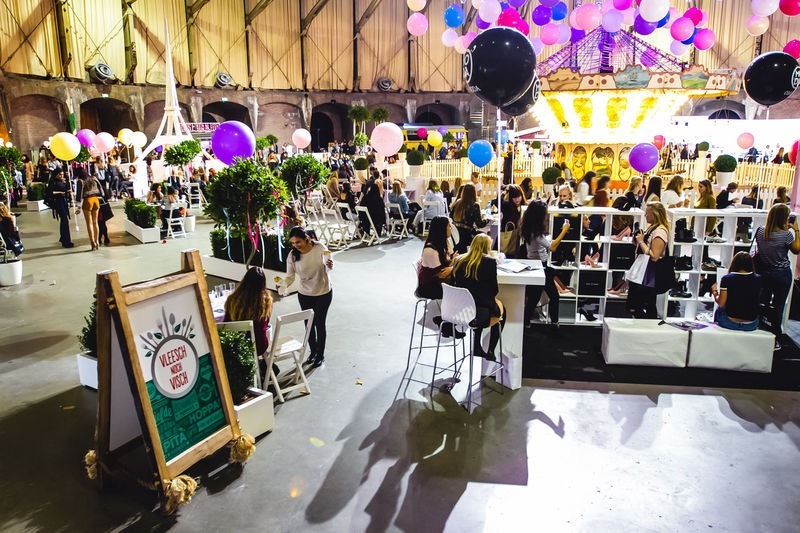 An afternoon of fashion, food, beauty and lifestyle: it sounds just like heaven. And that was exactly what our visit to the NSMBL Festival 2015 was – a little piece of Parisian heaven. 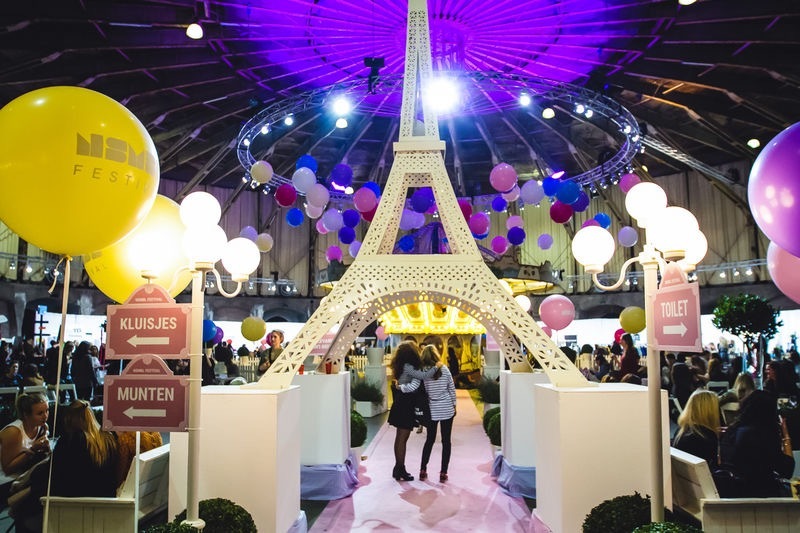 Scroll down to read all about Annick’s and my experience at Une Fête Parisienne! At 15:00, the park surrounding the Westergasfabriek in Amsterdam, The Netherlands, was packed with hipster girls, fashionista’s, girlfriends, mothers and daughters, and curious minds. All dressed up according to the dresscode (like a true Parisienne, naturellement! ), they stood in line waiting for the Gashouder to open the gates. While standing in line, we could already see colorful balloons and smell the delicious smell of bacon – we were anxious to enter this Parisian, bacon-smelling place! Once Annick and I got inside, we got a pale pink bracelet, crowning us as temporary Parisians, and goodie bags! We were early birds with buying our tickets and so we received some black tote bags, tagged with the NSMBL Festival logo and filled with goods such as O.P.I. nail polish in a sparkly blue color, crisps from Say YES to NO, a Glamour magazine and popcorn from Proper Corn. Oh la la! Then it was finally time to enter the pink gates to a Parisian heaven. Upon stepping into the majestic and grande circle of the Gashouder, we saw the Eiffel Tower in a glossy white, towering over us and the other, overall female, visitors. Colorful balloons popped everywhere, creating a fun and sweet atmosphere. In the middle of the Gashouder, stood an old-fashioned carousel, twirling around perfectly dressed girls. 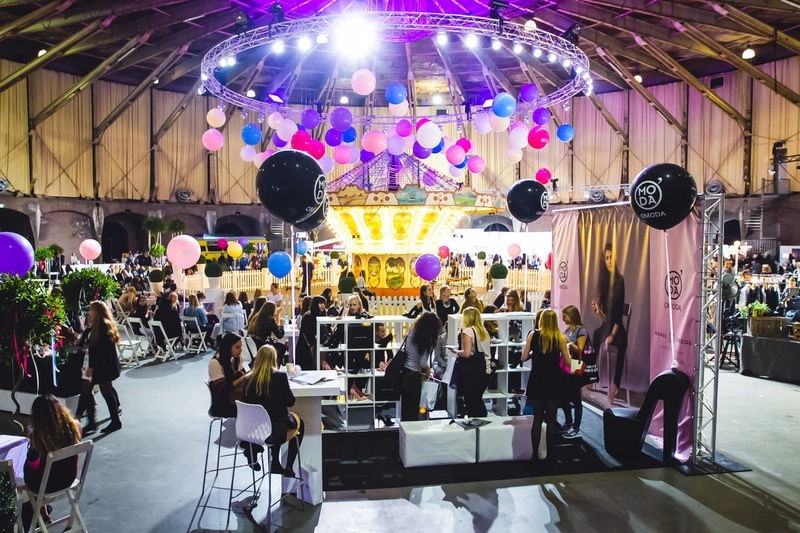 Embracing the vintage carousel, were stands with fashion, beauty, food and lifestyle brands, such as OMODA, Lush and O.P.I. After storing our coats into lockers and buying food tickets, Annick and I participated in the workshop “How To Be Une Parisienne”. Three experts gave us advice in three different categories, starting with your inner Parisienne. Anita Bakker from Life & Style Coaching Amsterdam helped us to define goals and guidelines to pursuing them (mine: eat healthier, ironically enough). After 20 minutes, we switched to the next workshop, by Marloes Brockhaus, who is specialized in imago styling and personal branding. Here, we learned about body figures and the best way to dress them (Annick turned out to be a combination between a pear and an hourglass, and I am a hourglass shape). The advice: we need to show our waists more… The final workshop was about color and which ones suits us best. Sharda Tewari from Eclectique helped us to define whether cool or warm colors look better on us (Annick is more warm, while I can have both warm and cool colors). After a very fun, but also very tiring workshop, we stepped into the round Gashouder again, immediately racing towards the food carts to get some bacon. We found it at Stacks, where they make the heavenliest burgers known to mankind, and got some desert at the Yoghurt Barn. I got the most amazing combination of frozen yoghurt with dark chocolate, coconut, hazelnut and a touch of honey. Nomnomnom! While immensely enjoying our froyo, we stood in line for the O.P.I. bar, but after a while, a saleswoman approached us: “From here, the line takes two hours, so if I were you, I would enjoy the festival and forget about manicures”. An advice we gladly took. As much as Annick and I would have enjoyed a manicure, we decided our time was better spent enjoying the NSMBL Festival. After a visit to the photo booth (apparently, it is really, really hard to determine the exact location of the camera, which resulted in me looking in all different directions except for the right one), we wandered past all boots and carts, buying some colorful macaroons, smearing some Lush products and getting hand cream. Around 19:30, we sat down for the prize giving of OMODA, hoping we would win that marvelous prize: a year long of free shoes. Free. Shoes. For an entire year. Our hearts beat faster at that glorious prospect, but unfortunately, we did not go home with a lot of new shoes, but with fun and unforgettable memories. After an afternoon full of shopping, eating and learning, Annick and I were exhausted. We returned home, waving goodbye to the colorful balloons, bacon hamburgers, and loads and loads of shoes. Until next year, NSMBL Festival!